Need a restaurant tasting, super easy diner? 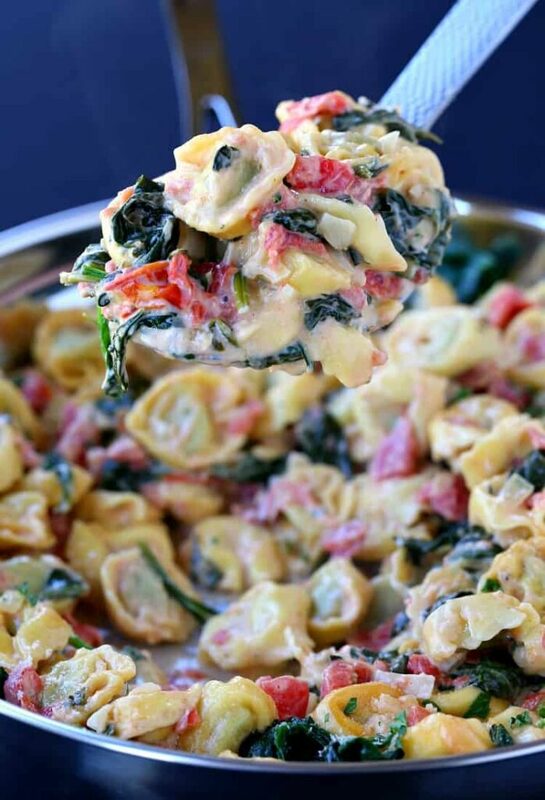 Try this Skillet Tuscan Spinach Tortellini! This delicious pasta dinner can be on the table in less than 30! 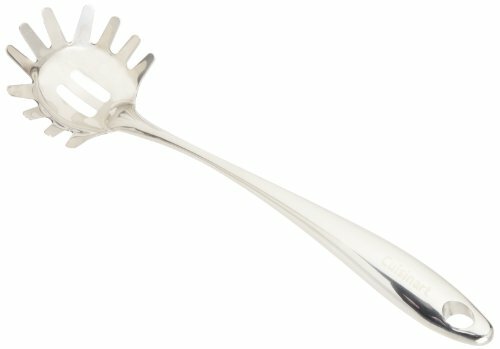 Here’s a crazy thing. I don’t really love pasta. I mean, I like it but some people crave it all the time and that’s not me at all. I do crave lots of things, pasta just isn’t one of them. 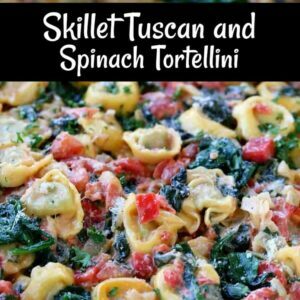 So take that into consideration when I tell you this Skillet Tuscan Spinach Tortellini is so good. The kind of good that you can’t stop eating it even when you’re about to burst from being so full. The flavors of the sauce is really what does it for me, the wine, the cream, the spinach and tomatoes. It’s the prefect combination for my tastes. 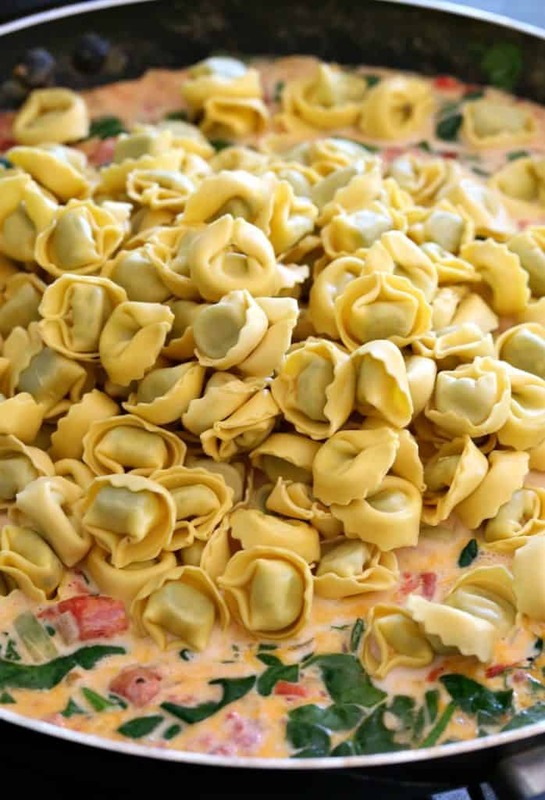 Then you have some fresh tortellini in there that soaks up all the sauce…it’s perfect. 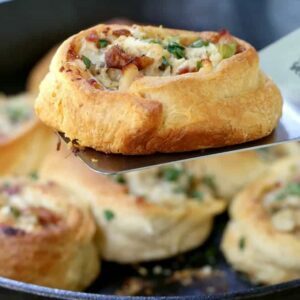 Bonus is that this can all be made in one skillet – no need to boil the pasta ahead of time in another pot, the tortellini cooks right in the sauce to make this one of the easiest pasta dishes ever. But really, don’t take my word for it. Make it for yourself and see, you’ll thank me. The sauce is simple, just a few ingredients and it comes together in about 10 minutes. 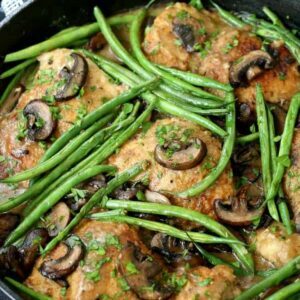 The wine in this sauce adds a ton of flavor so don’t go using that weird cooking wine, get something that you don’t mind drinking yourself. Once the sauce is done you can add in the tortellini. It does have to be fresh tortellini, not the frozen kind. You can grab fresh tortellini in any grocery store though so just pick out your favorite kind. 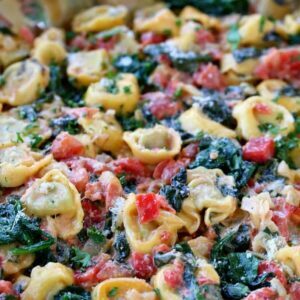 We used spinach tortellini from Trader Joe’s in this recipe. Stir it up and then get a lid on there to cook the pasta through and that’s all there is to it. 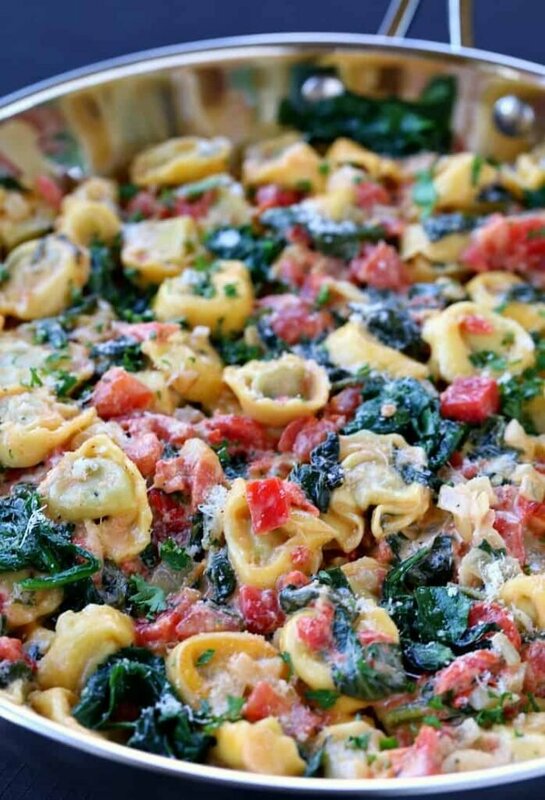 One bite of this Skillet Tuscan Spinach Tortellini and you’ll wonder why you ever go out to eat at all. This is the pasta dinner that has totally won me over! Heat the butter and oil in a large skillet. Add the onion and cook for 5 minutes until softened. Add the garlic, stir, and cook a minute longer. Add the tomatoes that have been drained and stir to combine with the onions and garlic, then pour in the wine. Cook for 3-4 minutes until most of the wine has evaporated then add the cream, parmesan cheese, 1/2 cup of the chicken broth, salt and pepper. Add the spinach to the skillet stirring into the sauce. Simmer the sauce for 5 minutes until the spinach is wilted and the sauce is thickened. Next add both packages of the tortellini, stirring into the sauce then cover the skillet with a lid. 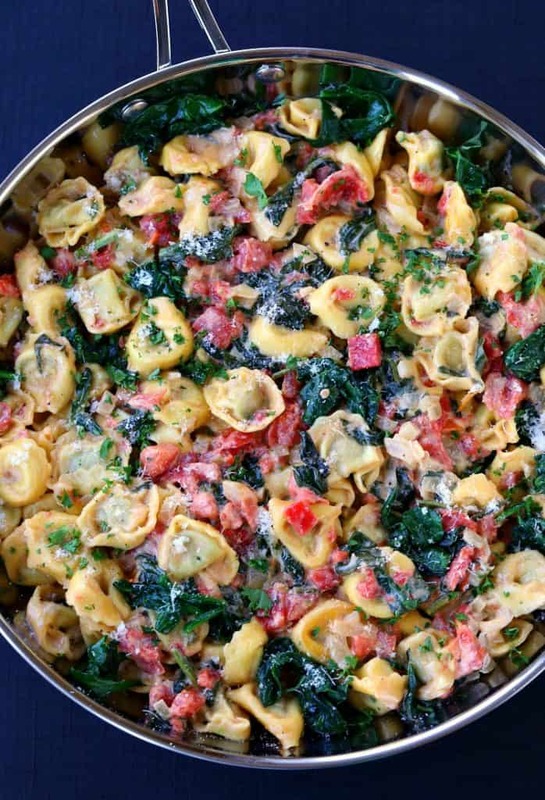 Cook for 8-10 minutes until the tortellini is cooked, stir, test for seasonings and serve. 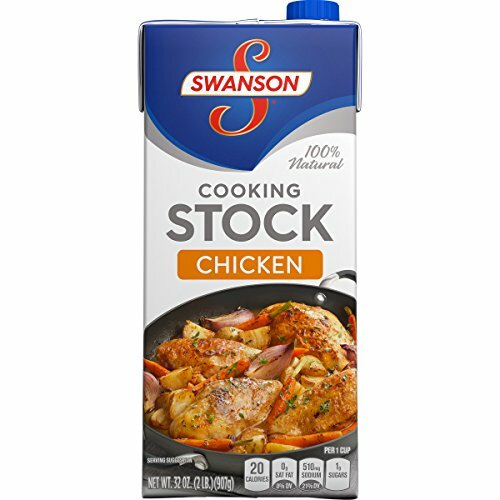 If you like the sauce thinner, you can add more chicken broth at the end. You can substitute one box of frozen spinach for the fresh, defrosted if needed. Also red pepper flakes would be great in here instead of black pepper if you like it more spicy!